I’ve been finding it hard to take the time to sit down and collect my thoughts. This week hubby and I did something we never do and went out on a weeknight. 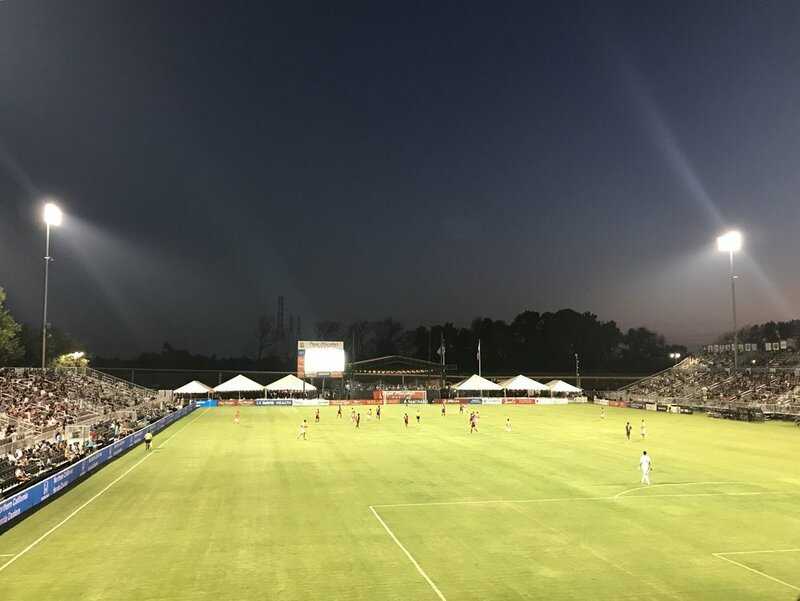 My company was offering discount tickets for the local soccer team and we made a night of it. Hubby and I headed out early and tried a local burger place, Cookie’s, which wasn’t great. It’s supposedly a classic but he wasn’t a fan. Picked up our couple friends afterwards and headed to the game. It was a gorgeous night and way more fun than I anticipated. I mean, I usually hate doing anything on weekdays (unless it’s a riding lesson). But this was just as nice as sitting at home with a glass of wine and we always enjoy catching up with friends. The game was quick but heated and ended with a 2-2 tie. And then last night I had a lesson on a new horse which I think I’ll make a post about later.